This package is inclusive of Branch Office registration plus Nominee Agent service. If you have no plans to relocate to Singapore, you can run your company operations from overseas. 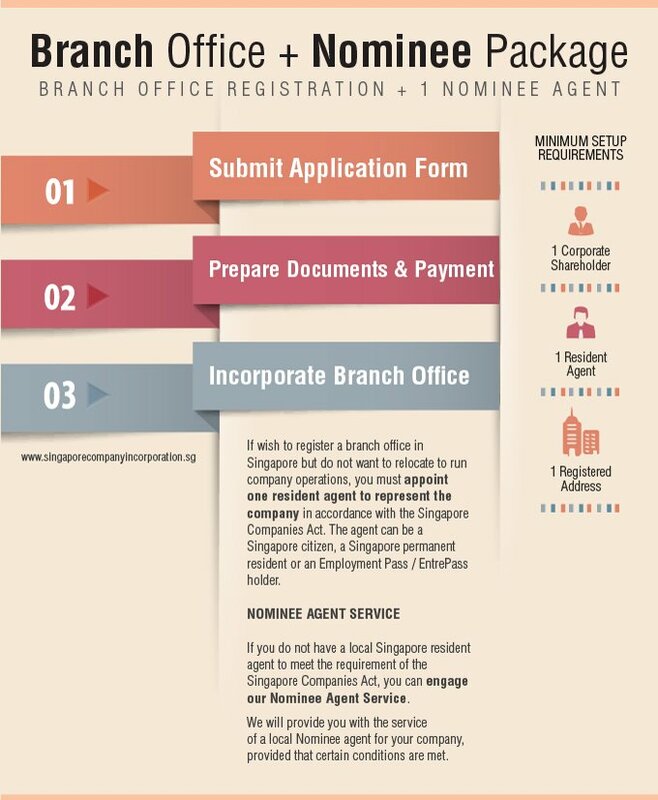 However, you will need to appoint at least one resident agent as per Singapore’s Company Act. Interested in setting up a Branch Office in Singapore?